Natural History Museum Dippy the Diplodocus - Amazing Dinosaur Model Kit "Dippy the Diplodocus" has been on display at the Natural History Museum since 1905. Diplodocus were one of the largest animals that ever lived. 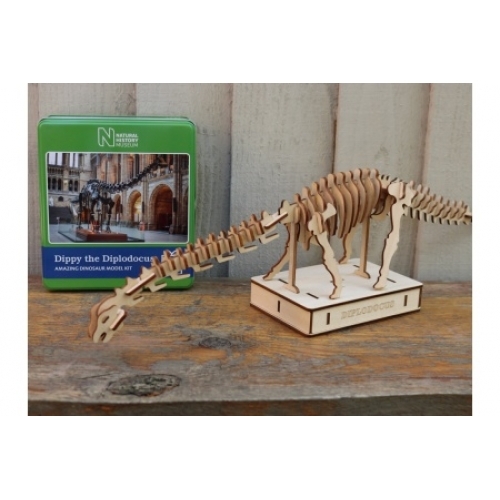 Follow step by step instructions to build a model of the world's most famous dinosaur. Assembled from over 60 wooden pieces, the finished model is approximately 46cm long. 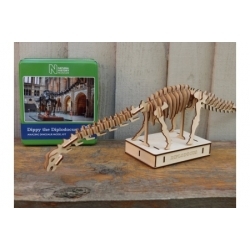 Sales of this product support the Natural History Museum in keeping its doors open to the public.